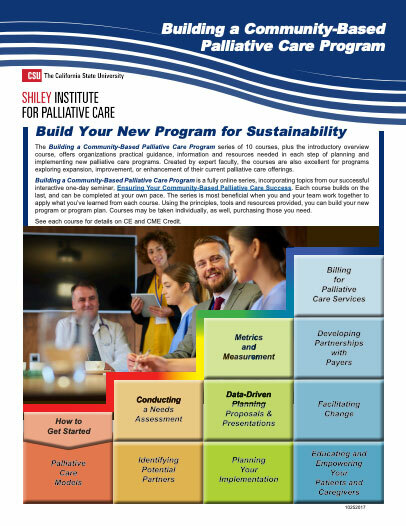 This is the final course in the 11-part series of Building a Community-Based Palliative Care Program. You can take this single course or the entire series. Having progressed to this point in building your program, your challenge now is to communicate the value of community-based palliative care to the individuals most in need of the service. Educating and Empowering Your Patients and their Families to Embrace Palliative Care provides clinicians tools for talking to individual patients and families about the benefits of palliative care; the course includes key messaging tips for staff in communications, marketing, education and patient navigation as well. Over the long course of a chronic illness an individual is likely, at some point, to be “clinically ready” for and in need of palliative care. Although providers may inform patients and families about palliative care and its benefits, information may not be what’s needed to help them make decisions about or ask for palliative care. That is why the majority of people never accept palliative care, or have it for a very short time. The decision whether or not to accept palliative care is made within the context of an individual’s stage of readiness to make a change in his or her treatment, even if that change is simply adding palliative care to a curative treatment plan. This course teaches clinicians and marketing staff the stages of readiness for change, how to recognize them by cues, and how to use that information to develop timely, effective messages about the benefits of palliative care. 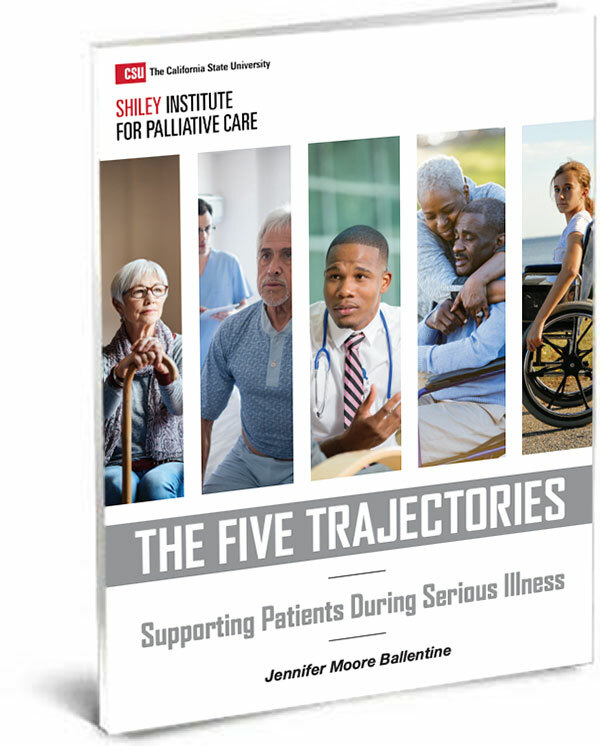 Delivering information within the context of stages of readiness for change, improves the patient and family’s likelihood to consider palliative care. As you prepare to speak with a person or family about palliative care, it is important to consider what stage of change they may be in related to their decisions about considering and accepting palliative care. Additionally, discussions about the benefits of palliative care are only meaningful to patients and families when they align with what patients and families are concerned about, and what they see as helpful and relevant. The course reviews the stages of change as well as ways to discuss the benefits of change within the context of a person’s understanding of their illness, goals and values. You will learn a three-step process to help frame discussions with patients and family caregivers. The final module of this course will focus on developing and delivering effective messages about palliative care and your palliative care program to the broader community. Module 1: When Are People Ready for Palliative Care? Kathleen Taylor, MA, LMHC is the President of KT Coaching & Consulting, where she provides healthcare coaching and consulting services that enhance communication and connection, and improve the patient and clinician experience. Kathleen has over 22 years of experience in the healthcare and nonprofit sectors, with specific expertise in hospice and palliative care, advance care planning, community engagement, and program development. For over a decade, she served as the director of community engagement at the country’s largest nonprofit hospice organization. Previously, she managed a national Robert Wood Johnson Foundation grant program establishing grassroots coalitions to improve end-of-life care, and worked for over 7 years as a hospice counselor serving patients and families coping with life-limiting illness, caregiving and grief. In 2012, Kathleen delivered a TEDx talk about living an authentic life, which has since been shared around the world and used in social work curricula and other training programs. Kathleen is a Florida Licensed Mental Health Counselor and Qualified Clinical Supervisor. She earned a Bachelor’s degree in Psychology at Stetson University, a Master’s degree in Mental Health and Rehabilitation Counseling at the University of South Florida, and a Graduate Certificate in Nonprofit Management & Innovation at the University of Tampa’s John Sykes College of Business.